Qatar Petroleum (QP), the third largest oil company in the world by oil and gas reserves, is a state owned petroleum company in Qatar. 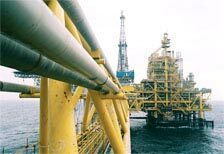 The company operates all oil and gas activities in Qatar, including exploration, production, refining, transport, and storage. QP's operations are directly linked with state planning agencies, regulatory authorities, and policymaking bodies. Together, revenue from oil and natural gas amount to 60% of the country's GDP. QP's Chairman Abdullah Bin Hamad Al–Attiyah, chosen as the Man of the Year in 2007 in the field of development of Hydrocarbon industry by London based The British Petroleum Intelligence Bulletin, is also the head of the Ministry of Energy and Industry and, as of April 2007, the Deputy Prime Minister of Qatar. Our partner, JBK Controls based in Doha, Qatar recommended eFACiLiTY® to Qatar Petroleum. JBK Controls, a part of JBK Group of Companies, is engaged in System Integration of Security System, Fire Alarm System, CCTV, Building Management System, Structured Cabling System, Fire Fighting System, etc. eFACiLiTY® works together with businesses and allows day–to–day management of the processes, automates operations, provides a management dashboard for critical analysis and enables enterprise wide control in the most intelligent and efficient way. It offers an environment that could provide enhanced productivity, safety, comfort, convenience and cost effective operations through seamless integration, interaction and optimization of all functional control systems in real time, seamlessly, effectively and efficiently. eFACiLiTY® not only integrates and simplifies the operation of facilities and building systems, but also links them to the enterprise management systems allowing enterprise–wide connectivity, monitoring and reporting of vital operational information. Data from diverse infrastructure is transformed into useful information that assists managers in making timely facility decisions that result in Cost–effective Operation & increased Profitability. As a result, businesses and organizations can establish healthier, more productive and safer environments – at lesser costs and efforts.